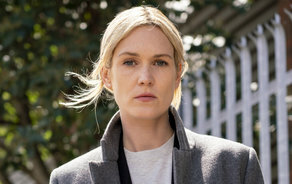 RTÉ’s new crime drama ‘Taken Down’ has secured an international distribution deal with British distributor, Fremantle. This well-timed acquisition comes only a month ahead of Mipcom, where Fremantle plans to introduce the Irish series to buyers. The Cannes-based trade show takes place from October 15th -18th. ‘Taken Down’ comes from the creative team behind ‘Love/Hate’. Spiral Pictures' Stuart Carolan (writer/ executive producer), Suzanne McAuley (executive producer) and David Caffrey (director) are joined by best-selling novelist Jo Spain to bring this brand new crime series to RTÉ and international audiences. ‘Taken Down’ is produced for RTÉ by Spiral Pictures with funding from the Broadcasting Authority of Ireland (BAI) and Section 481.